Fraser Valley/Kamloops – The River Forecast Centre is maintaining a High Streamflow Advisory for the Fraser River including the mainstem from Lytton through Hope and the Fraser Valley. 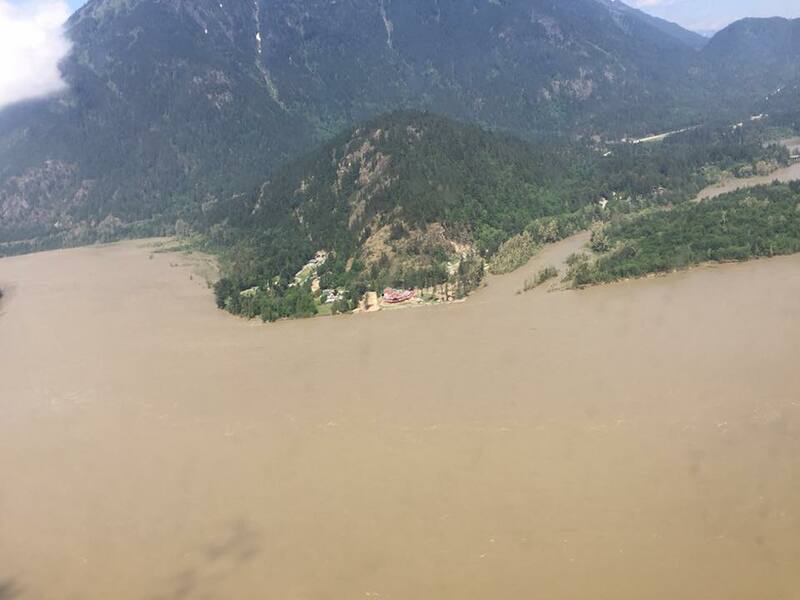 Persistent warmer than normal temperatures across British Columbia for the past three to four weeks has led to a much earlier than normal runoff period for the Fraser River. Hot temperatures and increased snow melt runoff last week worked its way into the Lower Fraser Valley over the weekend, with levels reaching approximately 11,000 m3/s at the Water Survey of Canada gauge at Hope (08MF005) and nearly 6.0 m at the Mission gauge (08MH024) . River levels appear to be steady, just below 5.9m at the Mission Gauge and a flow rate of 11,600 m3/s. Our Logistics Section Chief tells us that this is nearly the same amount of water as FIVE Olympic sized swimming pools, flowing down the Fraser every second! Flows are expected to remain elevated through this week. 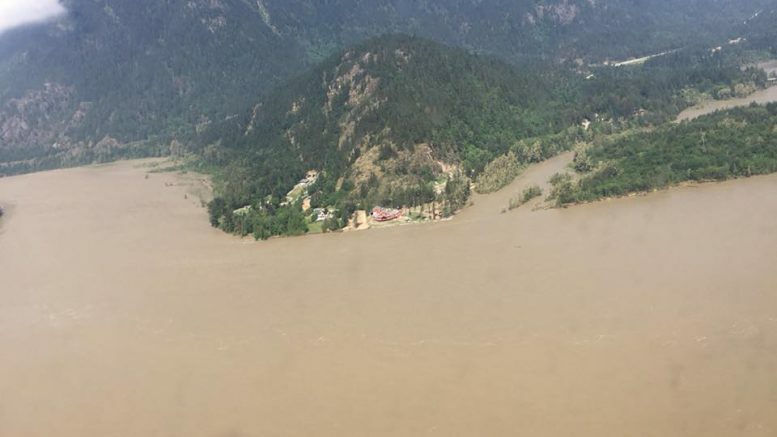 With hot weather forecast over the headwater tributaries in the Upper Fraser and Thompson River basins, increased snowmelt runoff may lead to higher flows along the lower Fraser River into the coming weekend. Current modelling is indicating that flows should remain near current levels, however increases above current levels are possible. Be the first to comment on "UPDATE – (May 22) High Streamflow Advisory Remains For Fraser River"